MANILA, Philippines — The last gold medal winner for Team Philippines in the just concluded Asian Games was the last to arrive back home Monday, but she didn’t mind. By skating her way to instant fame and live the dream, Margielyn Didal is anything but delighted to be where she is now. In fact, she’s itching to skate again, get back into training and hone up for her next big event. “I am now confident to join my next competition,” said Didal shortly upon arrival at the NAIA where she was met – with less fanfare – by sports commissioner Ramon Fernandez and other sports officials. 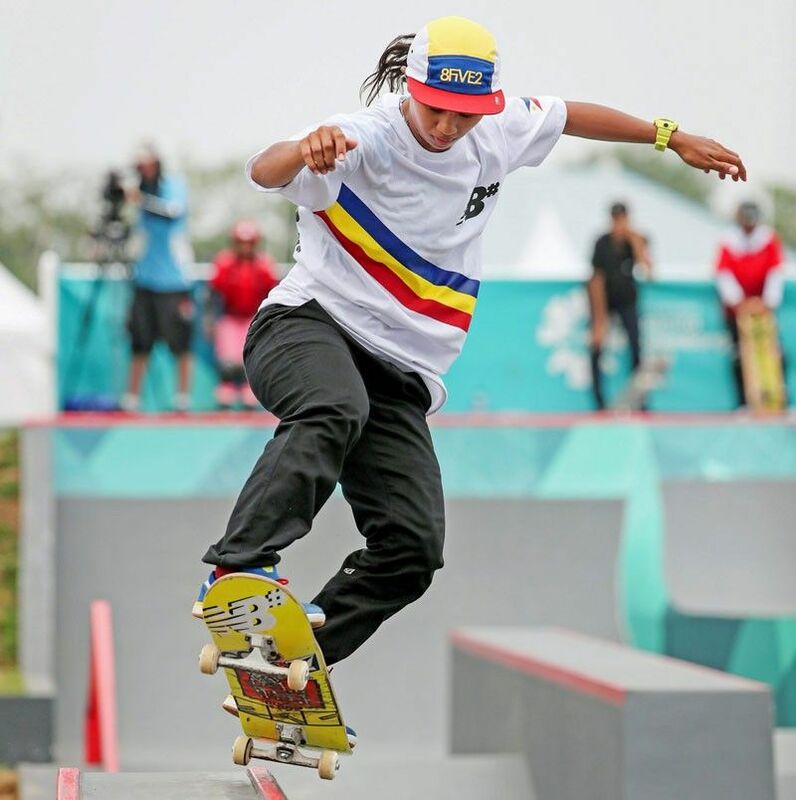 After making history in Palembang, the first Filipina Asiad skateboarding champion has trained her sights on the 2020 Tokyo Olympics where she seeks to become not only the first-ever female skateboard gold medalist in the quadrennial meet but also the country’s first Olympic gold medal winner. Sure, the road to Tokyo would be bumpy with each skateboard aspirant needing to go through qualifiers in World Skate events to earn ranking points. But with a sky-high confidence, the bubbly 19-year-old find from Cebu is more than ready to take on the challenge and vie for one of the 20 berths offered in the female street division. Didal’s Asiad feat actually didn’t come in the form of luck. She travelled around the world to train and compete – from Hong Kong, Macau, Singapore, Malaysia, Bangkok, Taiwan, Indonesia, London and the US, battling it out with the best in the fold in X-Games. She never won, not even gained a crack at the crown. But the experience put her in good stead against her regional rivals, whom she dominated in the Asiad. Heading home in Cebu as a hero, the pint-sized, long-haired champ, who had brushes with security guards and police while honing up her and her friends’ skateboarding skills, hopes her Asiad feat would help popularize the sport and give it a mainstream appeal. She’s also counting on the local government’s promise to put up a skate clinic and skate park.